20" outside diameter, 16" inside diameter. Predrilled. 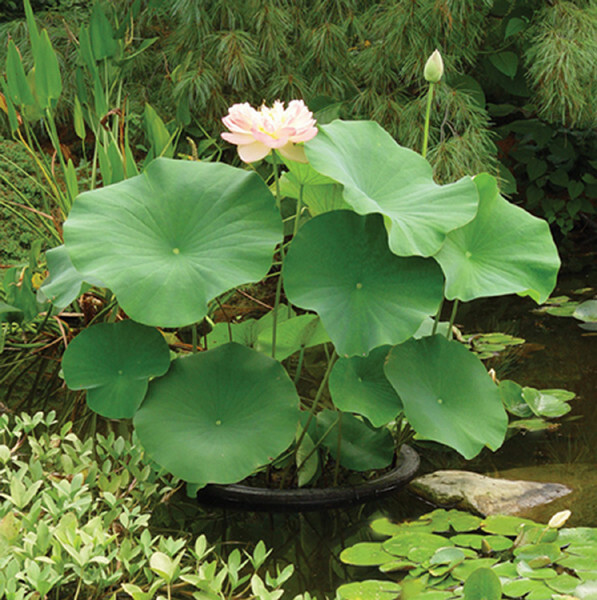 Shown with Nelumbo 'Mrs. Perry D. Slocum'. Plant selection can be growers choice or a selection can be made from the availability list. We will review it for Island appropriateness and contact you with recommendations if needed.